Many diseases can affect animals on pasture. The most difficult ones to stay aware of are the diseases that are uncommon, where the producer or livestock may never encounter the disease. Many diseases that affect livestock have presentation forms that can mimic multiple other diseases that are more common, leading to a delay in veterinary care or producer awareness. One disease that can affect livestock that fits this description, but should stay firmly in a producer’s awareness is rabies. Rabies is an ancient disease caused by a virus. The Latin translation of rabies means, “To rave or rage”. The virus spreads in its host in an unusual way compared to how most people think of viral spread. While many viruses spread through the bloodstream, enter via the respiratory tract or digestive tract by ingestion, rabies is a neurotropic virus, meaning it spread along the nerves in the nervous system. After an infected host bites an animal or human, the virus enters the wound via the contaminated saliva and starts to move along the nervous system towards the brain. Contact with infected saliva or tissue can transmit the disease in the absence of a bite if the skin is broken. Rabies has also been transmitted through tissue transplants of infected donor tissue in one documented case. Animal species most commonly affected by rabies in Ohio include bats, raccoons, skunks, cats, dogs, horses and cattle, with the largest number of positive test results occurring in bats. Many other mammal species can contract rabies if exposed including fox, coyote, opossum, chipmunks, and deer. The virus that causes rabies does not live long outside the host. It has persisted in the environment for thousands of years by living from animal to animal through transmission. Grazing animals are naturally curious, often investigating a small mammal acting oddly in the pasture, instead of avoiding it as they would a predator or larger mammal such as a human. This behavior puts them at risk of a bite from a rabid animal such as a bat, skunk, or raccoon. Common bite sites include the nose or legs. Once bitten, there is an incubation period that can be extremely variable, lasting as short of a week but as long as months. Clinical signs usually start within a 3-week to 3-month period, depending on the location of the bite or viral entrance site. While the commonly known presentation of rabies is the furious form secondary to central nervous system excitement, the list of potential clinical signs is vast. These signs include incoordination, difficulty swallowing, profuse salivation, restlessness, agitation, and partial or full paralysis. These signs can easily be mistaken for other more common problems such as choke, colic, nutritional disease, toxicity, or trauma. Rabies progresses to death in a species showing clinical signs. Since 2010, the Ohio Department of Agriculture has confirmed case of rabies in bats, raccoons, skunks, dogs, cats, and cattle in Ohio. What should a producer do to prevent exposure to this disease? First, when walking pasture or working animals around the barn, if a producer encounters an animal such as a raccoon or skunk, that is acting oddly, especially in daylight, avoid the animal at all costs. Exercise caution if the animal appears dead in case the animal is affected by the virus and paralyzed. Next, the producer should familiarize themselves with the signs of disease listed previously in this article. Contact a veterinarian immediately if rabies is suspected. 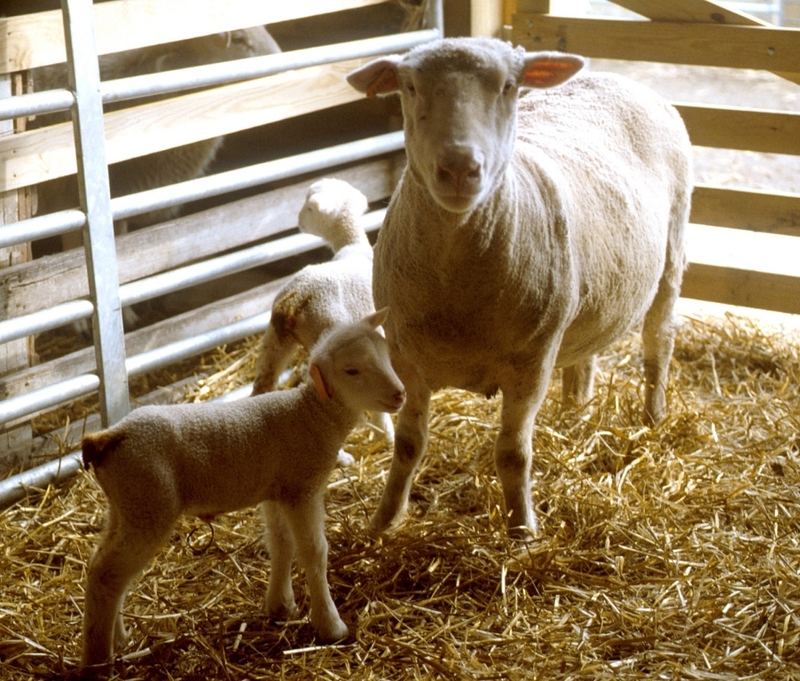 Vaccines are available for most livestock and companion animal species. Vaccinate dogs and cats on the farm for rabies in every case and keep records of vaccine dates. Work with your veterinarian to develop a livestock vaccination protocol. Keep rabies on the list of diseases that while not common, can have devastating consequences if encountered. Posted by Braden Campbell at 8:00am January 4, 2019 Posted in Health and tagged Health. Bookmark the permalink.